« August 16th and 17th: Covered wagons at last! We also saw Independence Rock, which many of you may remember from the Oregon Trail computer game. (The trading post was closed, but we didn’t need any new wagon wheels anyway.) The real Independence Rock apparently had thousands of travelers’ names carved into it, but unfortunately those have mostly eroded with time. More unfortunate, though, is the fact that the viewing area is immediately adjacent to an RV waste disposal site, so we didn’t stay long. 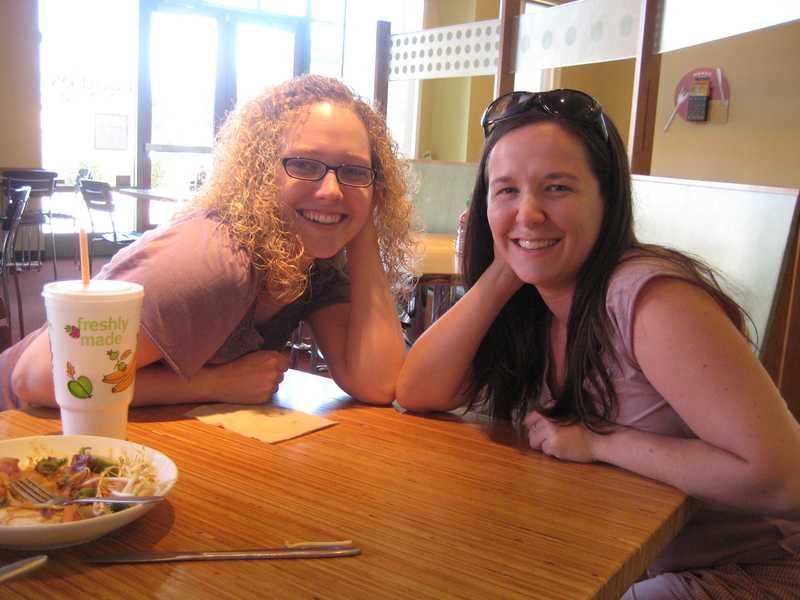 We made it to Salt Lake City on the 18th, and had a great time visiting with Michelle. Serendipitously, there was a special exhibition running at the Utah Museum of Fine Art, featuring highlights from the modern collection at the Cleveland Museum of Art — the very same collection we had earlier missed due to the remodelling in Cleveland. From Salt Lake we drove all the way to Medford in a single shot — about 12 hours’ driving, which we did in shifts so each of us could get some of a night’s sleep. It was a bit hairy at times (especially when we were driving through the Sheldon National Wildlife Refuge in northern Nevada at 3 am, with hares running across the road and elk grazing just off it), but we made it okay and gave the Klabundes a fun surprise at 7 am. 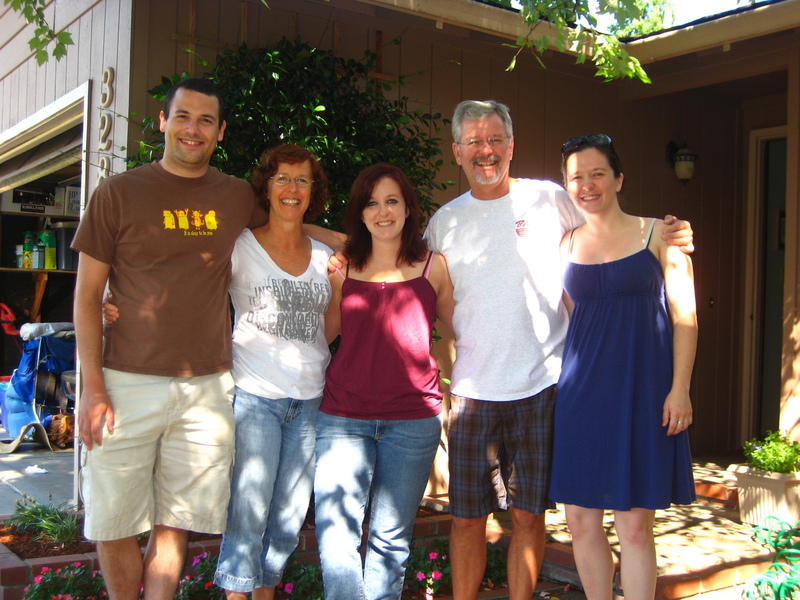 We spent a great four days in the Rogue Valley, seeing several plays at the Oregon Shakespeare Festival, showing Jonathan around town, and hanging out with Becky’s family. 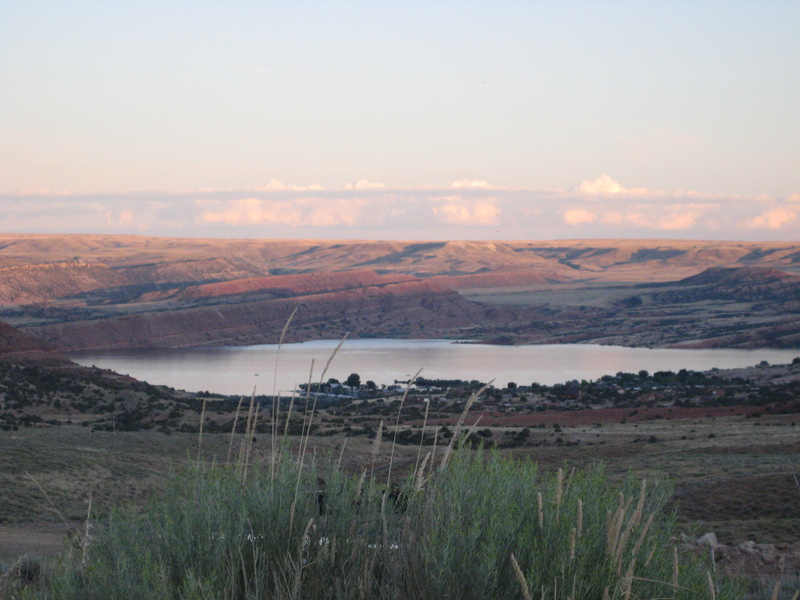 This entry was posted on August 25, 2008 at 1:05 am and is filed under Uncategorized. You can follow any responses to this entry through the RSS 2.0 feed. You can leave a response, or trackback from your own site. Hahaha!!! That’s so funny. It sounds EXACTLY like Oregon Trail! Did you break an axle or get a snake bite? Hello! 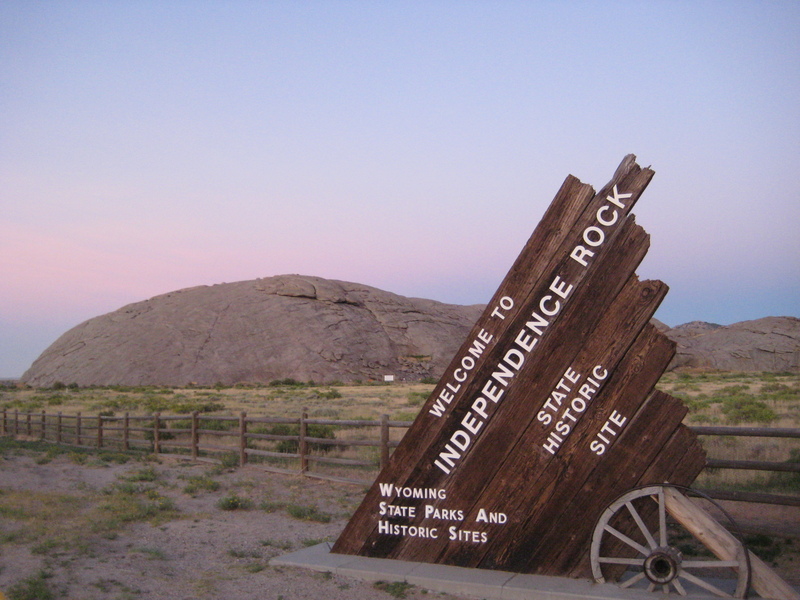 I found your photo of Independence Rock on your blog, and would like permission to reprint it. We are a non-profit association working on behalf of communities in Michigan (www.mml.org). We are putting a book together on “place” and one of the authors talks about that location. I would appreciate it if you could let me know if this is a possibility and if so, how you would like the credit written.